I’m not really an expert on slide guitar, so the following stuff is just for beginners. Slide guitar is an essential part of the Blues, I had to start with it. Duane Allman’s playing on Layla and other assorted love songs just blew me away, the same did EC on Unplugged. More than any other guitar technique it depends on the right feeling. The basics can be learned within a day, but to master it you need a long time. Most slide guitar instructions start like “and now we use the open xyz tuning”. That means you can forget what you know about the fretboard and forget both your left and right hand techniques. You have to learn everything new. To avoid this, I’ll first explain slide guitar on standard tuning, so all you need is a slide. Open tunings (see below) give a different sound and have their advantages, but they are not better in every case. The late Muddy Waters for example played in standard tuning, also Duane and EC on some songs. Open tuning is often used for Delta Blues on acoustic guitars, because you need the bass strings in correct tuning. For soloing on electric guitars it’s not that important, so you can play in standard tuning. However, you have to damp some strings, which is usually done with the picking hand. That’s why most slide players prefer fingerstyle. Damping is more important in standard tuning, because you get dissonant intervals when the strings with all their overtones ring out. You can use both acoustic and electric guitars, as long as they don’t have nylon strings. If you want to play much slide guitar, prepare a guitar just for this job. That means using heavier strings (no “super slinky”…) and a high action (distance of the strings to the fretboard). If you have an extra guitar only for slide, you can also try out the open tunings. If you have only one and play sometimes slide or want to switch between slide and normal playing, use the standard tuning. Resonator guitars (i.e. a Dobro) are great for acoustic slide guitar, they give a loud, metallic “Delta Blues” tone due to the metal cones build in. The advantage of slide guitar is that you can play it on old guitars with worn-out fretboards or even cheap guitars with bad adjusted frets. You don’t need the frets! Slides are usually made of glass or metal. In the early days of Blues the players also used a bone (like Mississippi Fred McDowell, who gave some of his slide guitar secrets to Bonnie Raitt) or a knife. Glass and metal produce a different sound and it’s just a matter of your taste which you prefer. A general rule is that heavier slide create a better sustain. The easiest and un-coolest way is to go into your guitar shop and buy one. The coolest way, but hard to play is using a bottle. Another way is to look around in your garage for a piece of tube, walk through a property market and look for heating copper tubes (you can make about 20 slides of 1 meter tube!) or visit a pharmacy and look for those little tablet glass bottles. You can also use the neck of a bottle (another expression for slide guitar is bottleneck guitar). There are lots of things you can use (Duane Allman, Derek Trucks and Rory Gallagher used a glass Coricidin medicine bottle, which unfortunately is no more produced, but you can get replicas!). Which finger should I use for slide playing? You have the choice between middle finger, ring finger and the pinky. The index finger does not work, because you need a least one finger to mute the other side of the strings. All fingers have advantages and disadvantages. The middle finger. The biggest finger (I said finger!) can hold a big slide and so give a fat sound for “power slide”. However, you have to lift up the ring and little finger and you can’t play the normal way. The ring finger. Duane played this way, Derek Trucks still does. The slide is big enough to get a good sound and you have two fingers left for muting the strings. But playing the normal way is hard. The pinky. The method of choice if you want to combine both slide and normal playing. You have three fingers for muting or playing without slide. The slides are smaller and maybe they don’t cover all strings. Johnny Winter and EC play this way, Muddy Waters used it too. As mentioned above most slide players use open tunings, especially on acoustic guitars when used for backing. That means all strings are tuned in a way that the open string notes belong two a major (or sometimes a minor) chord. That does not necessarily mean that they are tuned note for note using a chord! Some notes can be left out. The advantage is that with open tunings you can play basic chords using the slide including the bass notes, whereas slide guitar in standard tuning is better for solo guitar. There are always more than one open tunings for a key! Never tune a string above standard tuning, at least with an acoustic guitar and heavy strings. It can break the neck. Tune down if possible. Open G: D-G-D-G-B-D (the most common slide tuning, EC’s favorite Dobro tuning). Open E: E-B-E-G#-B-E (Duane’s favorite tuning, Delta Blues, stress for the neck) or open D with capo at 2nd fret. Scales and chords for most open tunings can be found right here at the scale generator. If you miss a tuning, drop me a note. I strongly recommend to use this tool, especially if you like open tunings. It also has a slide mode, where the notes are placed over the frets. As mentioned before I’ll first focus on standard tuning. Let’s go: to play a chord we need at least 3 strings for a good sound. Which major chord has three open strings? The G major chord uses the open D, G, B strings. That means, for any major chord in standard tuning we can use these strings. For example to play the A major chords simply put the slide above the second fret and pick these strings. That’s our starter kit – all major and minor chords with standard tuning. If we start with solo guitar, we can still use what we’ve learned about scales in standard tuning. The scales are the same, but keep in mind that you have to position the slide right above the fret, not between. At first you have to put the slide on your finger. Try different sizes and fingers and play a simple note or chord. You have to figure out what’s best for you – no one else can. Usually the slide should reach from the middle finger knuckle to the end of the fingertip. No need for extra long slides, you should only cover the strings played. Next, you must mute the not picked part of the string (those from the slide to the headstock). If not, it will vibrate also and produce unwanted sound. Depending on the slide finger, use the remaining fingers aside and press them gently upon the string. You need some time to adjust the pressure. This is also the reason why your index finger is not ideal for the slide. Now we come to the slide itself. Press it directly above a fret on a string, but don’t press the string on the fretboard. Now pick the string and move the slide slowly up and down. Play around with this to get a feeling for it. Try to play slow licks you know already. It’s no problem to play several notes on one string, in opposite to usual, box-based playing. Don’t forget to mute the other side of the string. start playing the Blues in G and use the D and G string. Open string is G(I), 5th fret is C(IV) and 7th fret is D(V). Playing both strings together and sliding into the IV and V sounds really cool (power chords! ), but can get boring if overdone. Play fingerstyle or use fingerpicks / a thumb pick. Most slide players do that. You get a better control, speed is not necessary – the slide is limiting you. Slide into the notes. Start with the slide a little bit under the fret and than reach the note above the fret. This is a bit new at first, because usually the finger is pressed between the frets. Don’t forget the vibrato. Compared to a finger vibrato it’s easy to play, move the slide a little up and down so that the upper position is on the note. You actually play the vibrato below and up to, but not over the pitch (or fret). We start with a slide into the B note, 12th fret and let it ring while picking the E note. We close the lick with the root note after a slide into the G note. You may say that it’s a bit lame – you’re right, it was among my very first slide recordings. I can do it much better now, but I’ll leave it as it is to show how it sounds when you just start. And we were all beginners when we started. You may hear that it’s not exactly like the original. To achieve that you can use a “fake” open-G tuning and tune down the high E string 2 semitones down to D.
For slide, I’ve always used a glass Coricidin bottle, just like Duane Allman. He told me that a bottle sounds different than a steel slide, and I think it does, so I copied him. Duane was one of my heroes and, in my opinion, he was the best slide player who ever lived. He had such a great touch. He was always on pitch – never sharp or flat – and that’s hard to do. This song from Marion Walter Jacobs, better known as the great harmonica player Little Walter (1930-1968), was played by EC and Duane Allman during the sessions for the Layla album in 1970. It wasn’t released on the original Layla album, the first official release was Duane Allman’s Anthology, later EC’s Crossroads I collection and the Blues sampler. On the 3 CD The Layla Sessions: 20th Anniversary Edition release in 1990 are all three recordings. Both EC and Duane play an acoustic guitar in open G, one of the most popular open tunings (Rollin’ and Tumblin’, Running On Faith, Walking Blues, I Can’t Be Satisfied, Little Red Rooster…), although Duane usually played open E on his electric. Open G is tuned D-G-D-G-B-D, compared to standard tuning E-A-D-G-B-E three strings are tuned the same way (making it easier to find the scale), both E strings and the G string are tuned down a full tone. You can use heavy gauge strings because you release the tension on three strings. Maybe you have to adjust the neck a bit and raise the action. If you like the notes displayed or want to try the slide mode, visit the scale generator page. I’ll continue with the easy version, that means avoiding large fret distances. The second solo contains the same themes than the first one. Remember, don’t try to play it note for note, find your own interpretation! 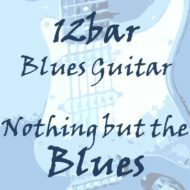 Statesboro Blues is a very old Blues, originally written and recorded 1928 by William Samuel McTell, better known as Blind Willie McTell (1901 – 1959). Statesboro is a town in Georgia. The song was covered by artists like Taj Mahal or David Bromberg, the most popular version is from the Allman Brothers Band and was released 1971 on the album At Fillmore East, one of the best live Blues rock albums of all time. Fillmore East was promoter Bill Graham’s rock palace in the East Village area of New York City, USA, popular artists like Hendrix, Mayall or Miles Davies performed here. Duane “Skydog” Allman was the reference for electric slide guitar. His performances with the Allman Brothers Band as well as on the Layla album are legend. Duane played most slide parts in open E, only a few songs where played in standard tuning (like Dreams, Mountain Jam, Midnight Rider). While he used a pick for fretted playing, he always played fingerstyle when using the slide. He has played many different guitars, starting with a telecaster he moved to a stratocaster and later to Gibson guitars, mainly ES-series, SG’s and Les Pauls. It’s possible to play this Blues in standard tuning instead of open E (a guy on YouTube does a pretty good job on this), so I’ll try to explain it that way. Once again – it’s for beginners, no note for note tab. You get the main theme, which is the intro, you can develop your own variations, your version. You can hear that there are many in-between notes which are hard to tab. During the song parts of the intro are used as filling licks. Try to play by ear, get a feeling for it.